During the peak of the Roman Empire, the legions of Rome were recruited (voluntarily) from the citizen class and mainly from rural areas, due to their more hardy nature. A letter of recommendation was needed from a noteworthy or influential figure, and bad references could lead to a citizen only able to join the (shock, horror) less prestigious navy. Other than being in good physical condition, one also had to be a man, over 20 years of age and expected to serve for a minimum of 25 years. What if you weren’t a citizen? Non-citizens (people from the conquered territories) could join the Auxilia, a supplemental fighting force made up mainly of cavalry and archery units. As a reward for joining, sons of serving members could become citizens and thus the Auxilia was an important tool for integrating newly-invaded territories into the ever-expanding empire. Auxiliaries were never formed into full legions but remained as cohorts (roughly 500 soldiers). 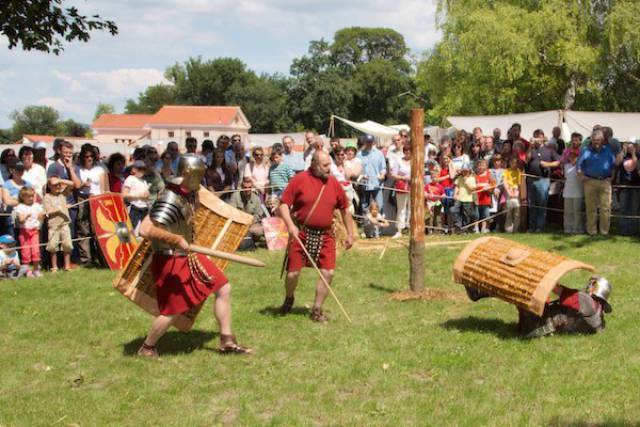 They usually exemplified the fighting strengths of their region of origin and, over time, became as important as the citizen legions of the Roman Army. Indeed, by the 2nd century AD, they made up almost three-fifths of the Roman Empire’s land army. A lot of the same reasons people join the army today. Guaranteed pay, being well fed, and the promise of a retirement ‘package’ which included farmable land. However, as a sign of the times, legionaries could also claim slaves and any loot they could plunder from the battlefield. How could you identify a Roman soldier? 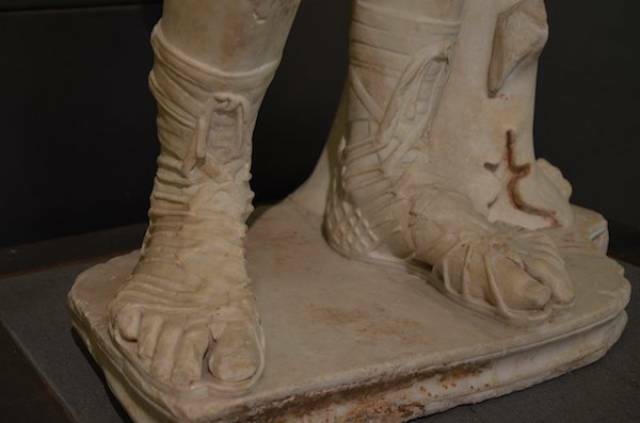 Soldiers were issued with a white tunic with an ornate military belt (a cingulum) and boots (caligula). A cloak was also included for bad weather, although trousers (pants) were seen as effeminate and/or barbaric. Despite this, as more recruits were drawn from Germanic and Celtic peoples, trousers started to become more prevalent and were the naturally more sensible attire than the standard issue tunic for colder regions such as modern-day Britain and Germany. 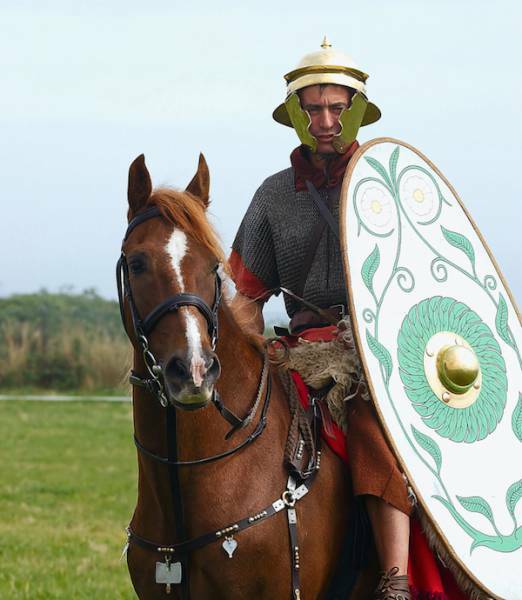 Roman legion training was incredibly arduous. 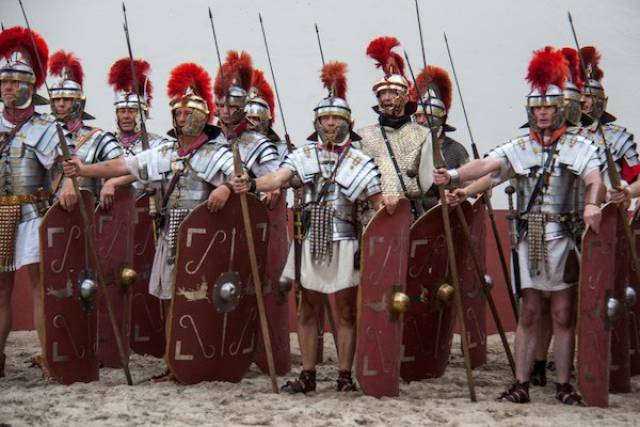 Other than hand-to-hand combat training with wooden weaponry (often twice as heavy as the actual steel implements used in battle), legionaries were expected to regularly complete both an 18.4 mile (20 Roman miles) march for new recruits or a 22 miles (roughly 24 Roman miles) for more seasoned recruits, both in under 5 hours. Training also consisted of learning battle formations and how to follow commands. Once initial training was completed, newly fledged legionaries had to swear an oath to the Roman people (and, later, the emperor). What about there armor? What did they wear? 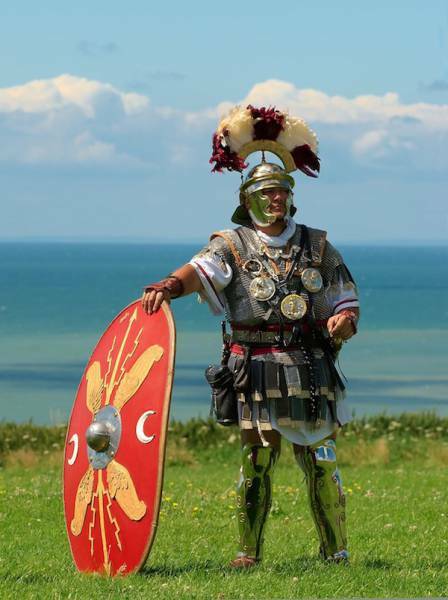 Contrary to popular belief, the Roman Army wasn’t a (literally) uniform fighting force with large shields (Scutum) and segmented armor (lorica segmentata). Often older yet still usable kit would be matched with newer designs, creating an effective but more varied look from soldier to soldier. Furthermore, as there was no central armory catering to the legion’s needs (instead, regional workshops carried out contracted works), equipment from certain regions would carry different design and pattern signatures. A soldier in Brittania would look rather different to one in warmer regions of the empire. Also, legionaries would often customize their own armor, setting it apart from his fellow brothers-at-arms. There was a medal system within the legions as well, known as Phalera. Large metal discs attached to belts worn across the chest were used to delineate certain actions the wearer had untaken in battle (such as breaching a wall or capturing a standard). What was the structure of a legion? 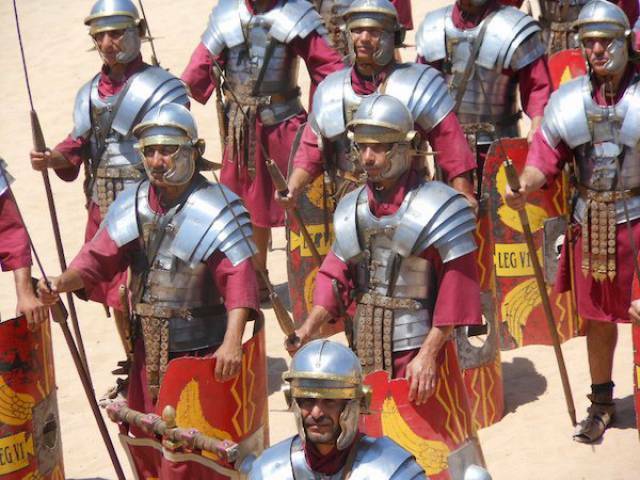 The number of troops in a legion varied from 3,000 to 5,000 throughout the Roman Empire but generally consisted of 10 cohorts (each with 500 men) with the first cohort double strength and featuring the best soldiers in the legion. Every 80 men (century) was led by a centurion, every cohort was made up of centuries which were led by another centurion and so on. To carry out tasks removed from war, the legion would be split into groups of one thousand men known as Vexallations. 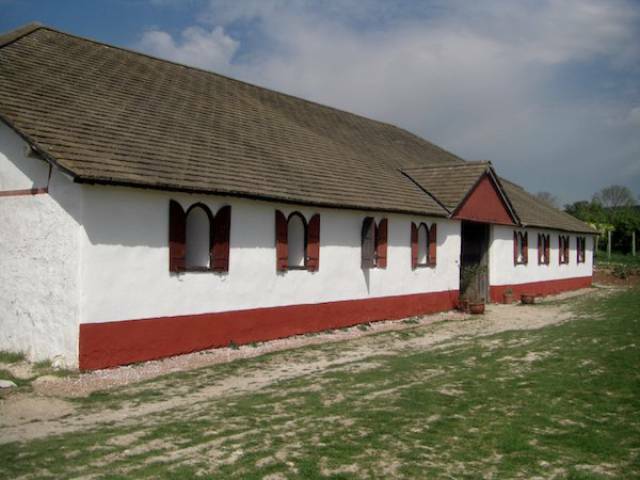 These groups would carry out works such as fort building or food gathering. 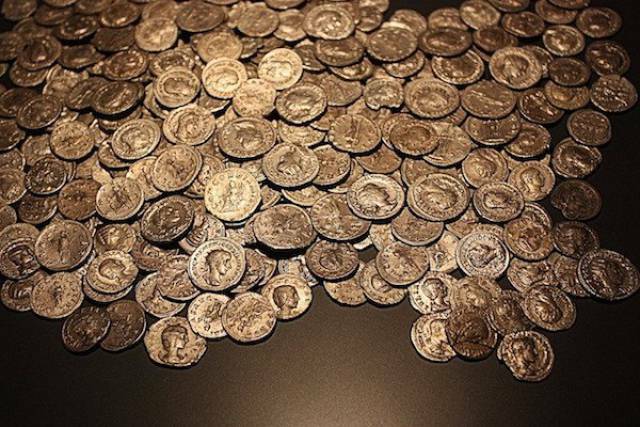 To become a centurion involved either a commission from within the ranks or, much like the officer system in the British Army during its imperial era, one could be purchased by a wealthy citizen. 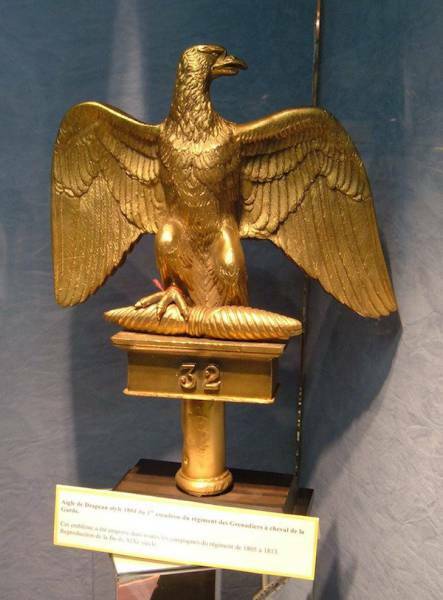 Each legion had a golden eagle (an Aquila) standard passed down throughout its history and considered a sacred symbol of the legion’s might. Losing one in battle was considered such a massive dishonor that after three Roman legions were wiped out by an ambush carried out by an alliance of Germanic tribes in 9 AD, the Romans spent almost three fruitless decades attempting to recapture their 3 lost standards.